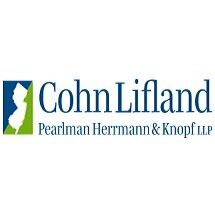 At Cohn Lifland Pearlman Herrmann & Knopf LLP we take great pride in the high quality of services we render and in our steadfast dedication to the diligent representation of the interests of each of our clients. Founded in 1924, we have a wide ranging litigation practice at both the trial and appellate levels of the federal and New Jersey state courts, having successfully litigated cases up through and including the United States Supreme Court. Our clientele includes local, regional, national and international companies, government agencies and public and private pension funds as well as individuals from all walks of life, presenting problems requiring a high degree of skill, experience and practical counseling. Uniquely, a number of clients have continued to retain our firm for generations. Many members of our firm are recognized experts in their particular areas of practice and have written, lectured and taught regularly. Articles authored by firm members have been published in leading legal publications and repeatedly cited in reported decisions including those of the New Jersey Supreme Court. We are consulted frequently by other members of the bar throughout the United States. Our firm acts as counsel in New Jersey to more than 100 leading law firms and practitioners both from within and without the state. We regularly handle complex and sophisticated commercial litigation in the areas of corporate and securities fraud and breach of fiduciary duty, lender and accountants’ liability, consumer protection, franchise, anti-trust, qui tam, RICO, employment and intellectual property. For years we have served as litigation counsel to leading banks and mortgage companies in the region. Our firm also represents clients in substantial matrimonial actions involving divorce, custody, division of property and support as well as pre- and post-nuptial planning and agreements. One of our partners has been an editor for many years of Divorce Litigation, a nationwide publication dealing exclusively with family law matters. Our practice includes all aspects of trusts and estate planning, as well as representing clients in contested probate disputes. The firm also represents parties in all aspects of special education law. We have a significant tort practice which includes personal injury, medical and legal malpractice, product liability, environmental matters and toxic torts. We have been designated as special counsel to the State of New Jersey on environmental pollution cases. Our real estate experts provide practical knowledge and extensive expertise advising clients in the purchase, sale, development and financing of commercial and residential properties, together with land use and environmental regulatory matters. We maintain an active practice in criminal law both in the state and federal courts, in trials and appeals. We offer a broad scope of legal services to our clients in corporate and financial transactions. The firm actively assists its clients in the formation, maintenance, purchase and sale of all types of business entities from the simplest business formations through most forms of contractual relationships, to highly sophisticated mergers, acquisitions, and divestitures. Cohn Lifland assists its business clients in financial transactions, including both debt and equity financings.